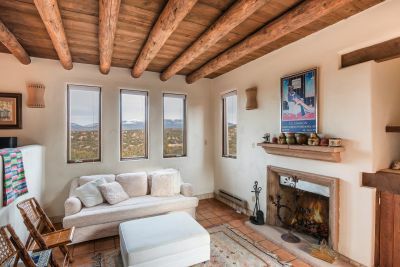 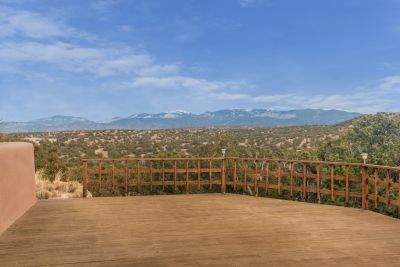 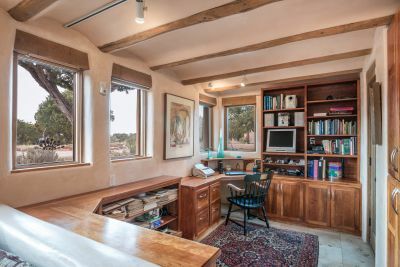 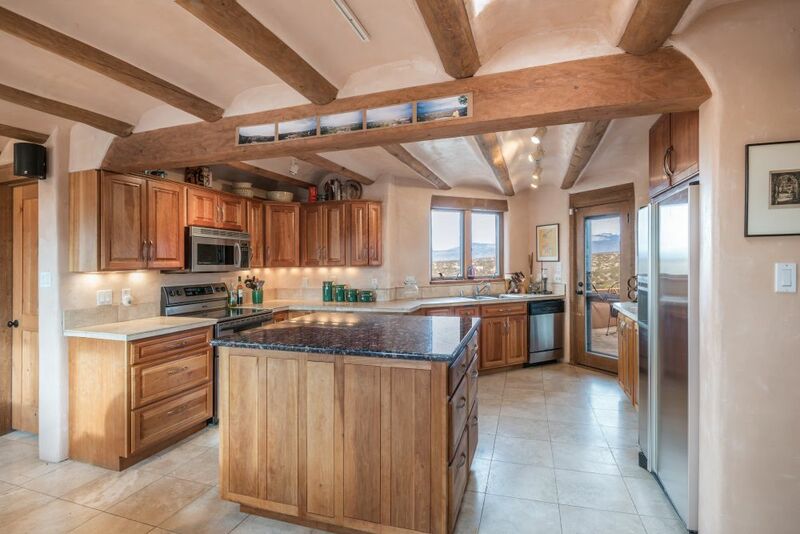 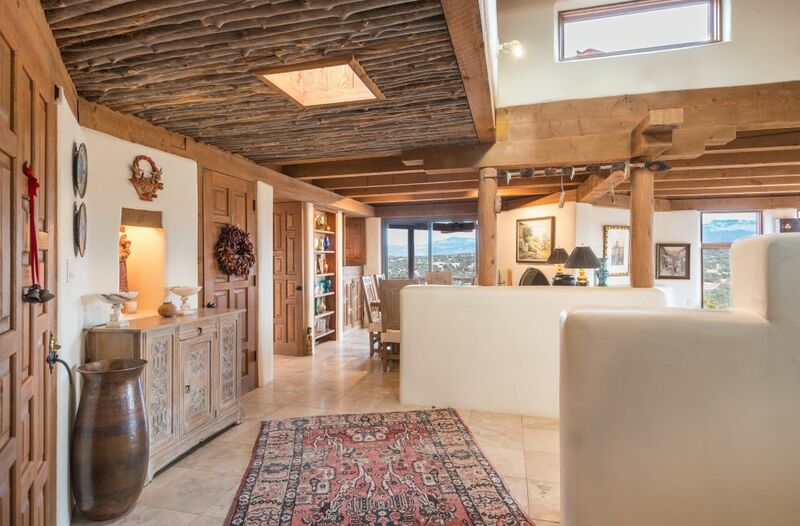 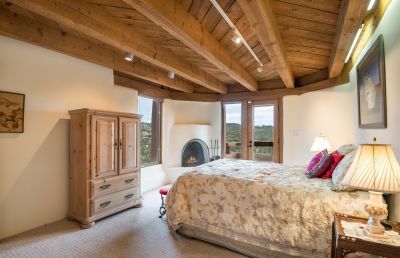 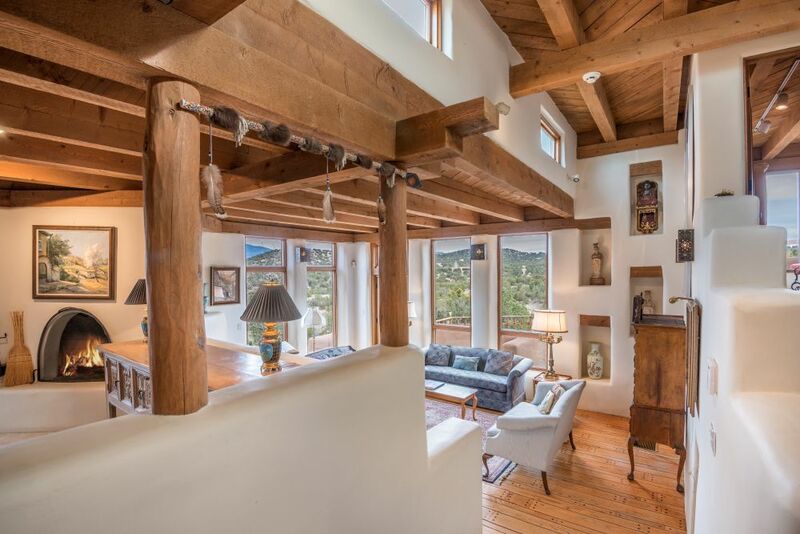 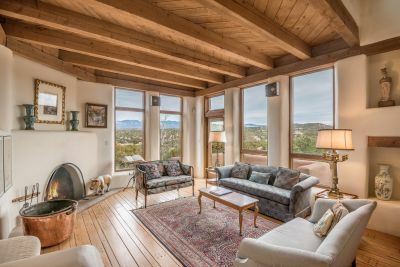 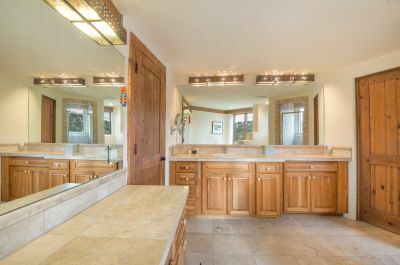 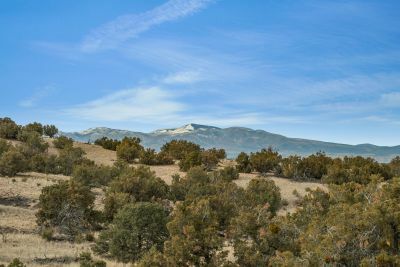 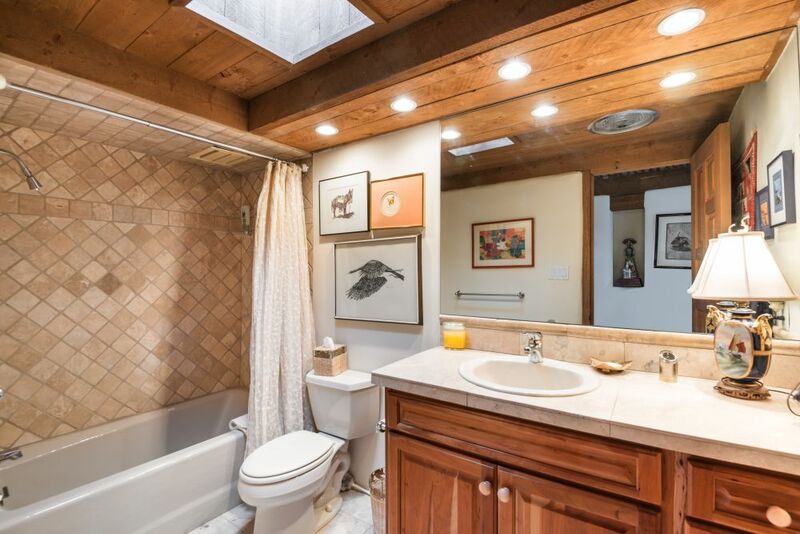 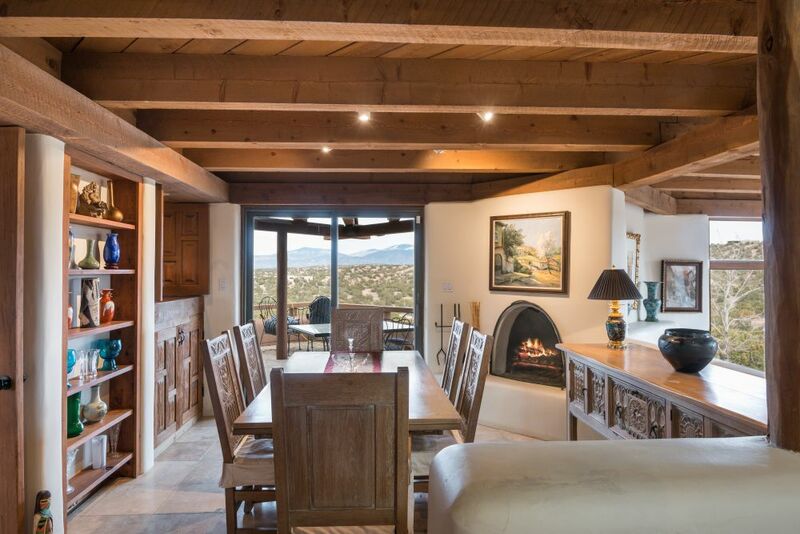 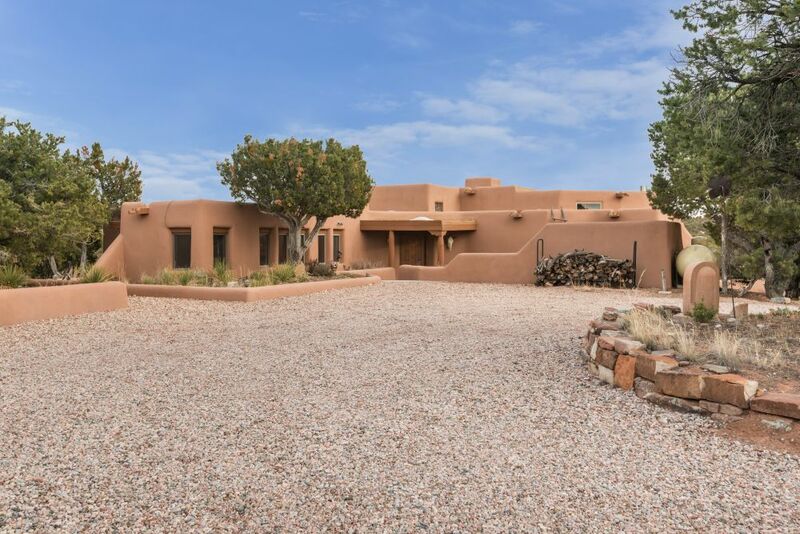 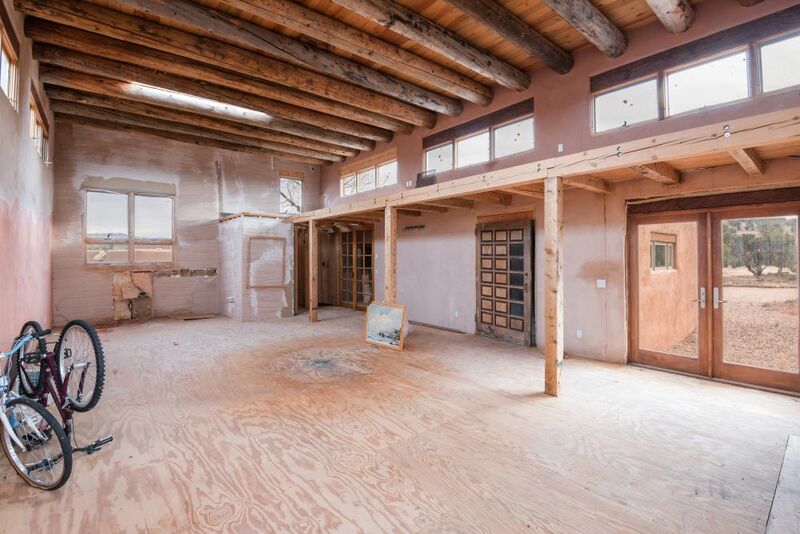 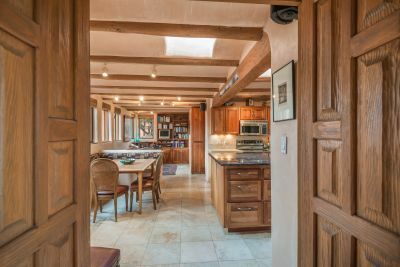 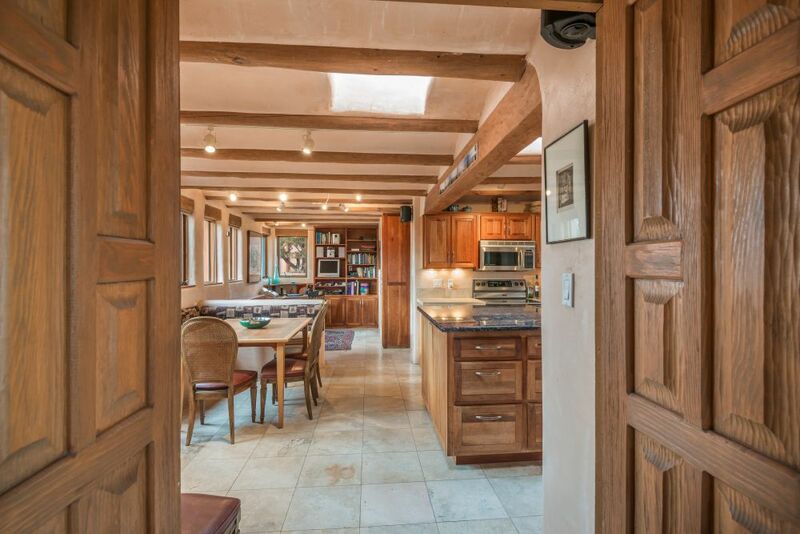 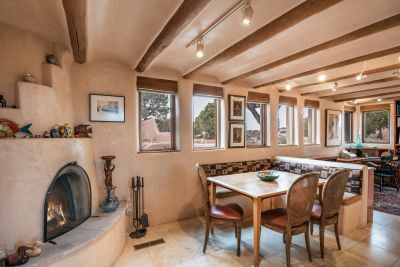 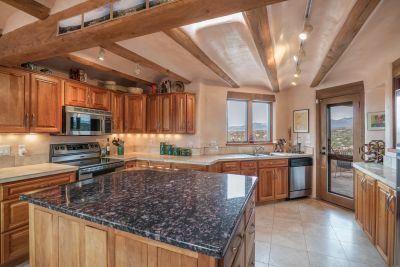 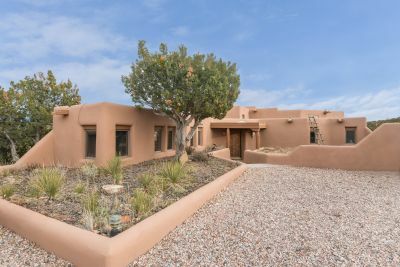 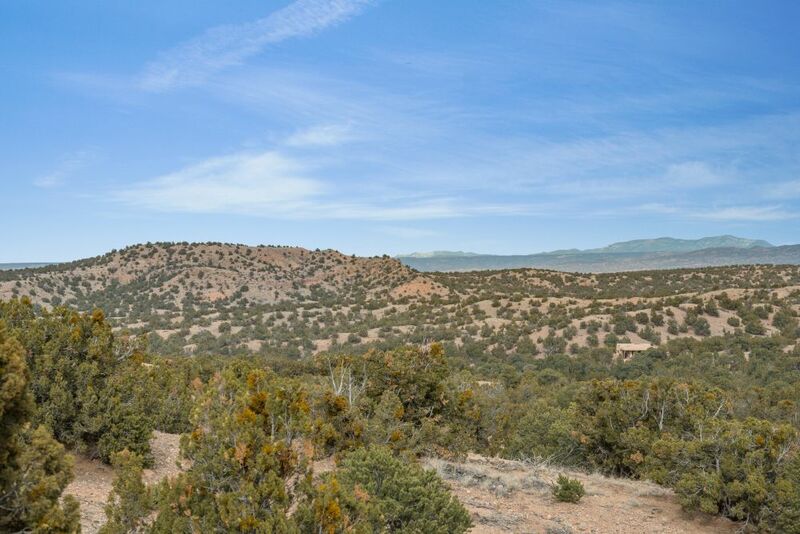 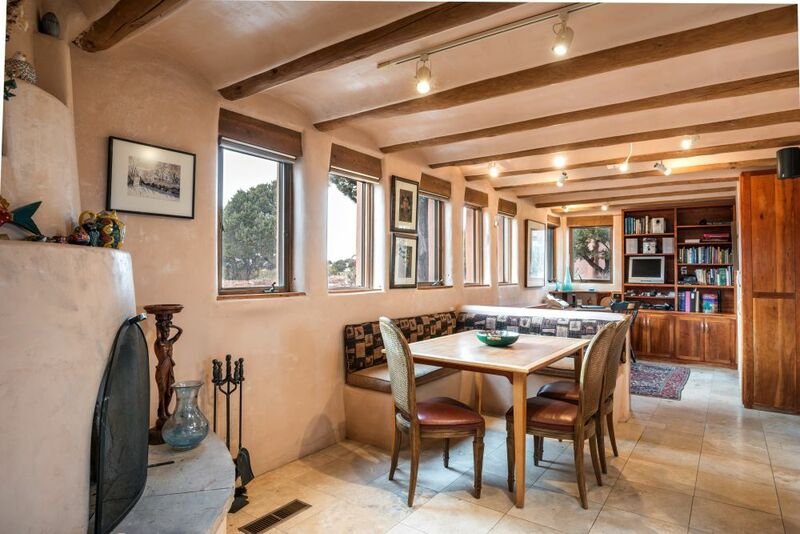 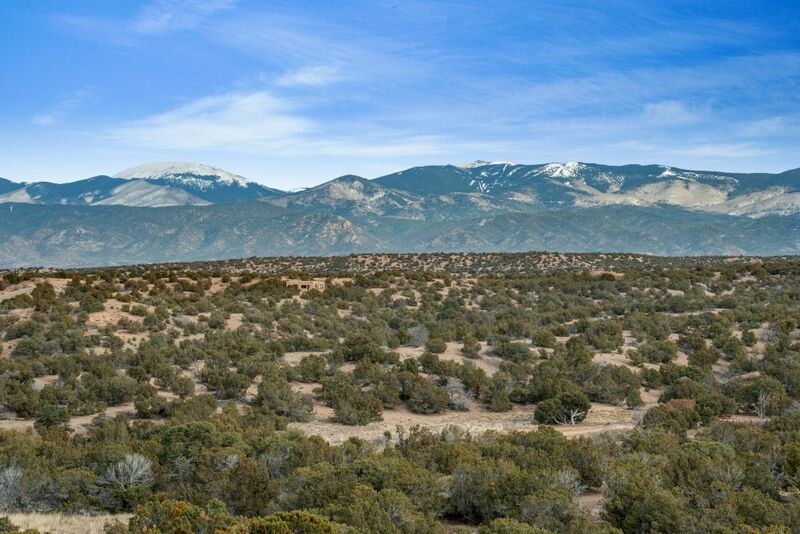 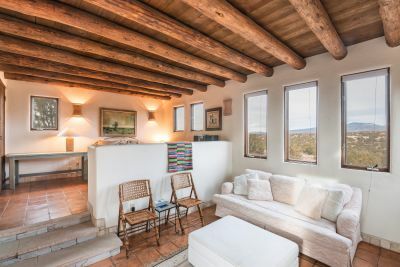 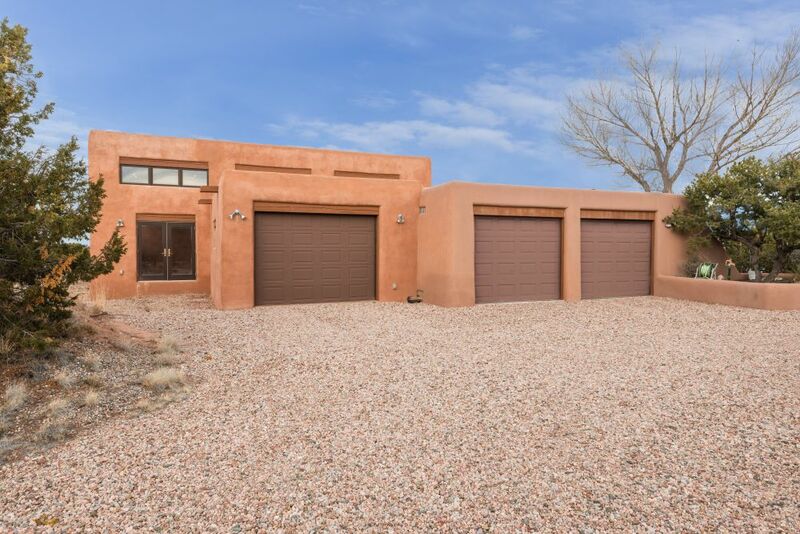 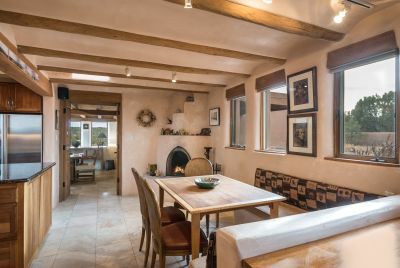 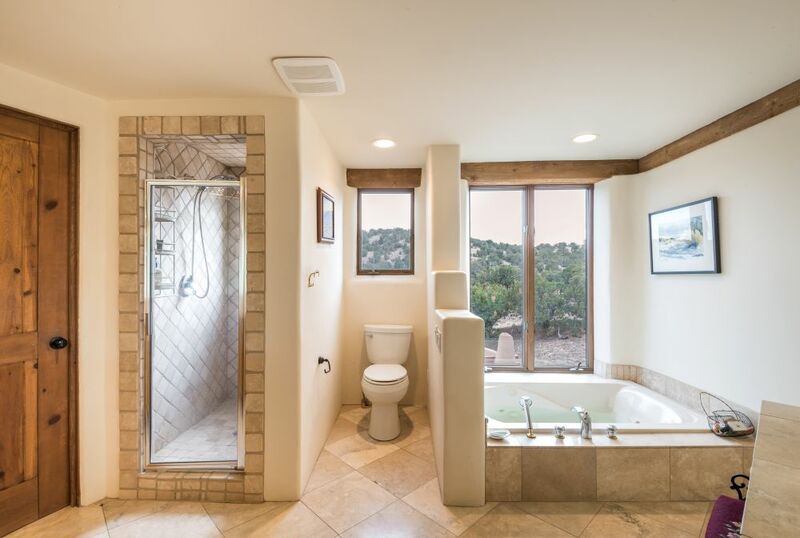 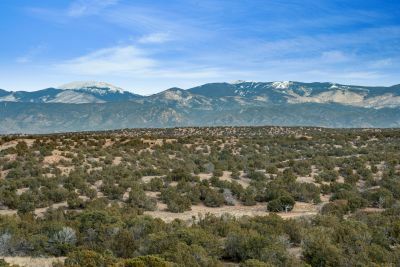 This enchanting La Tierra pueblo style home with guest house and sparkling pool, is sited on a dream lot of almost 17 acres, with glorious vistas that include the Sangre de Cristo and Jemez Mountains. 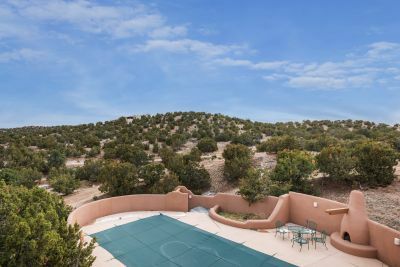 The 2,619 sq. 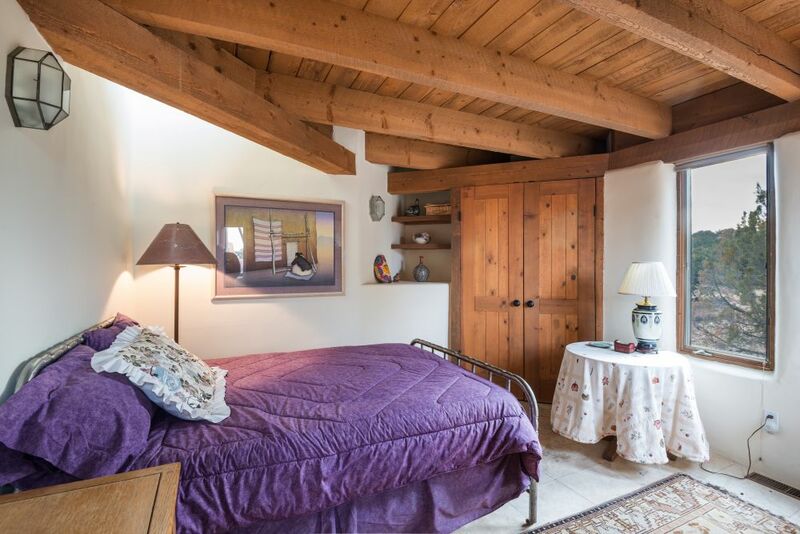 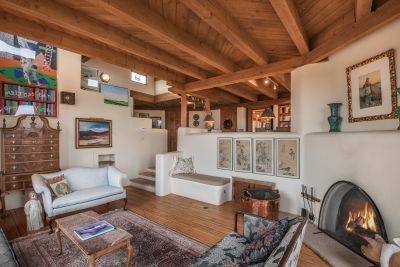 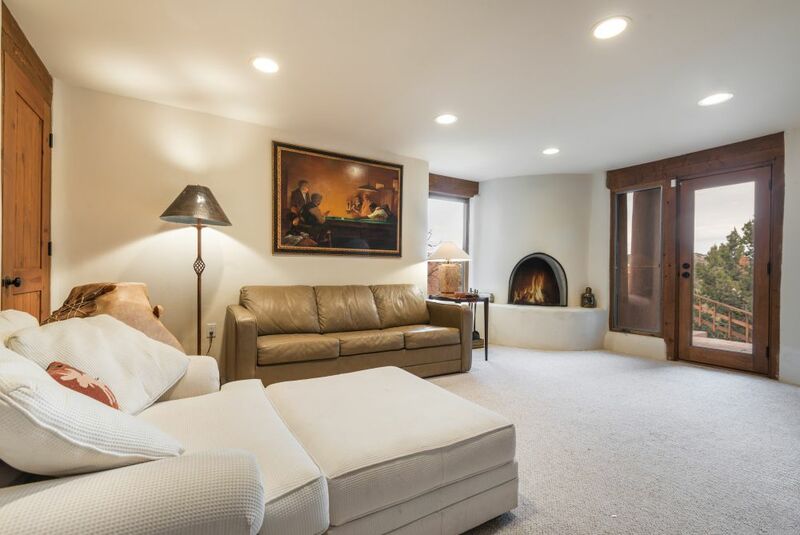 ft. 3 bedroom, 3 bath main house features a dramatic living room with soaring ceiling, beams, planked oak floor, and access to a large deck and the beautiful pool area. The lovely dining room with built-in cabinetry and a kiva fireplace overlooks the living room, and opens to a delightful dining portal. The center island kitchen includes a coved ceiling with vigas, rich cherry wood cabinetry, and charming breakfast area with warming fireplace & banco. The adjacent office also has abundant cherry wood cabinetry, including a built-in desk, One of the guest rooms is enjoyed as a media room, with outdoor access to the pool and generous entertaining spaces with a fireplace. 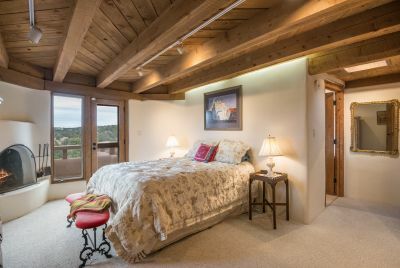 The intelligent floor plan provides excellent separation of all bedrooms. 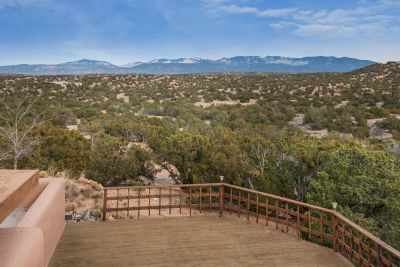 The 564 sq. 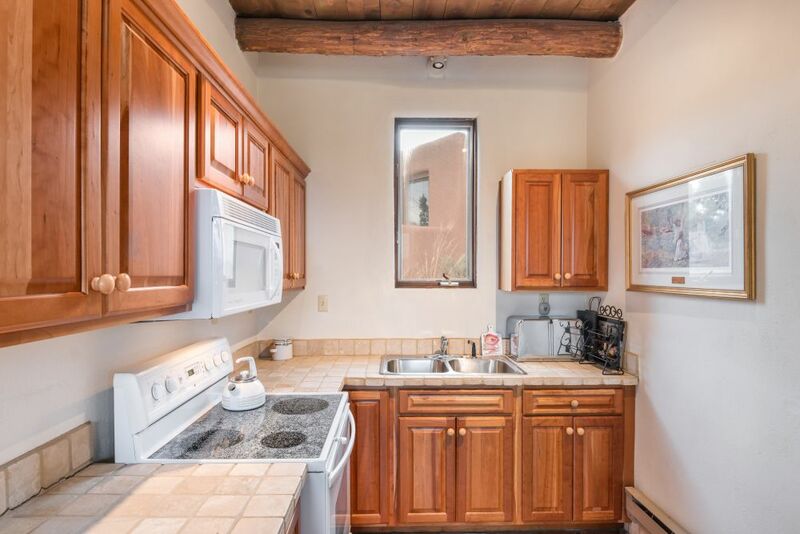 ft. guest house with kitchen also boasts those remarkable views. Featured are 7 fireplaces, vigas, lighted nichos, travertine tile floors, and a three car garage. 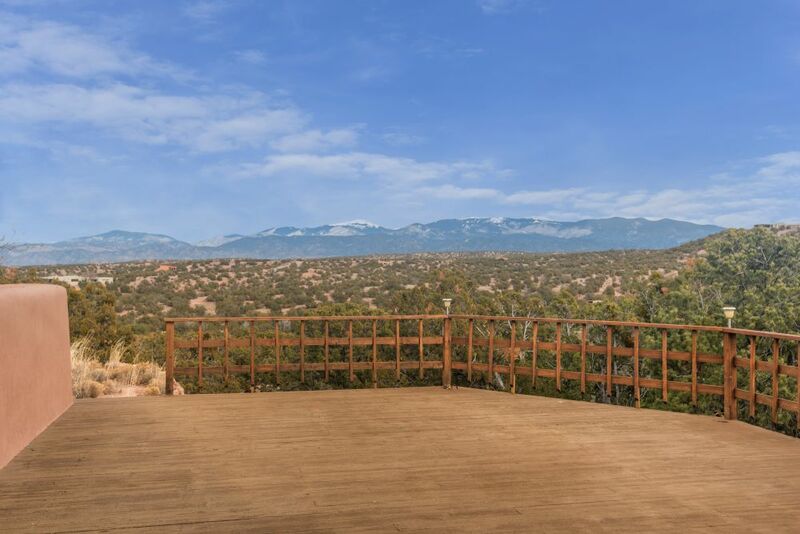 The long private driveway with a large circular motor court ensures blissful quiet and privacy. Horses are welcome in thi subdivision. 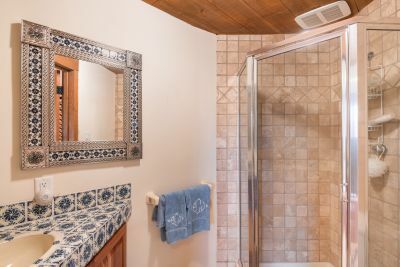 Not included in the sq. ft. is a large unfinished shop/studio on the property.